It is with 45 ° adjustable LED light! It also works in emergencies such as power outages. It also makes a big success even in evening walks. Excellent sponge: It is soft and has no feeling of pain even when used for a long time. Install the 4 PCS of LR44 battery with the right way. 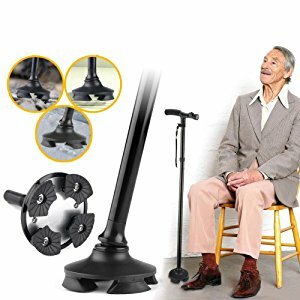 Please note that the power of the walking stick is covered with white insulation.When using it, please remove the insulated part. 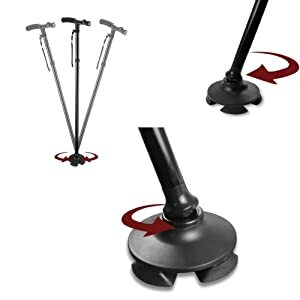 With a staff that will not collapse, give the user the necessary stability and support. It is convenient to stand by your side anytime. 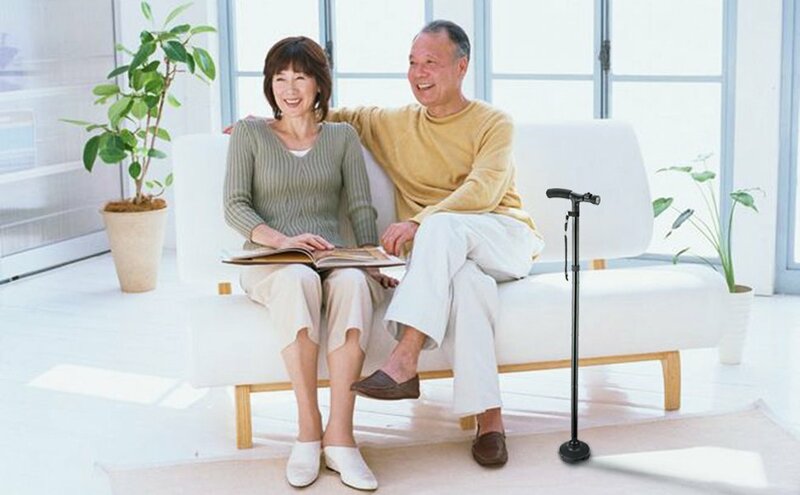 Foldable walking cane is great for portability where ever and whenever you need it. 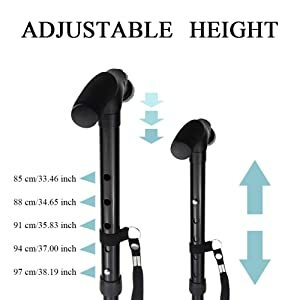 It is fully adjustable from lengths of 33″ to its full length of 38″. 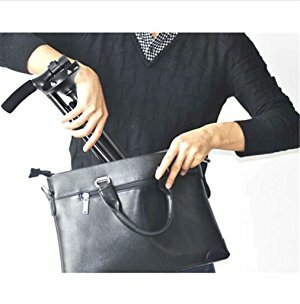 Can fold and store away to a size of 11.5″. 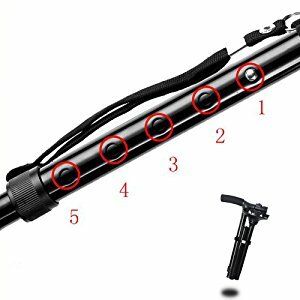 It is very easy to press the button with a single length change. From 33.46 inch/85 cm to 38.19 inch/97 cm.